If you are looking for a private tutoring for internal style Kung Fu, Tai Chi or Self Defence then contact. $60 usd for an hour + extra if house call. Check our website if you want more details. -Languages to speak: Spanish, Portugues, English and Chinese Cantonese (Basic). (Available for work in all Asia). Jae Hun Kim Taekwon-do Institute is one of the best known Taekwon-do schools globally, with a network of 14 locations in the US, Singapore, China and Korea. It was designated as 2009’s top school in the world by Mookas Media, the world’s largest martial arts media corporation. The institute was established in 1974 in Boston, Massachusetts by Grand Master Jae H. Kim, one of the most widely recognized and respected Taekwon-do instructors in the world. 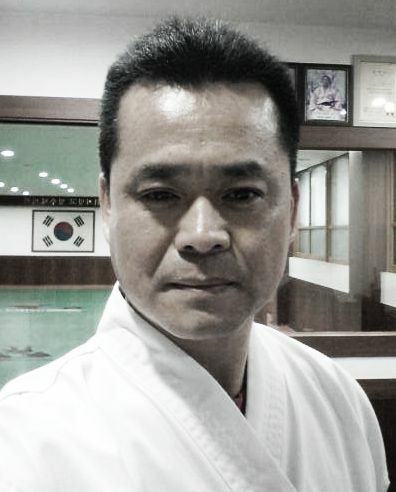 Grand Master Kim Mr. Kim is one of just a handful of active teachers left who was personally trained by the acknowledged founder of modern day Taekwon-do, General Choi. Do you want to learn Taekwondo during your time in Korea? Learn the traditional Korean martial art with English Instruction. Respond to this ad, and get a free uniform. Morning, evening and night classes are available. We are located near Ulsan University in Mugeo-dong. If you live in Mugeo-dong, bus pick-up is available. Do you really want a great body? Do you really want a great body? Do you want to feel strong and full of energy all day long? Do you want to feel confident and unafraid in any situation? If you do then you want to become a member of the English Hapkido school at Sunmukwan. Chayon-Ryu Martial Art System (Natural Way) was founded well before the current craze of mixed-martial arts. Most martial arts today focus on sports and competition and they focus only on the physical aspects of martial arts. The focus of Chayon-Ryu is on training one’s mind, body, and spirit and not on fighting, violence or competition. It is based on those natural movements found within each of its parent styles. "We don't learn how to start fights but how to resolve fights"
I am 5th Dan in Taekwondo,& Hapkido and have experienced with teaching Taekwondo & Hapkido in Australia & U.K, and have no problem in English communication. Our Gym has been opened just for 4 month so everything is new, and only need you. Come and Join us, and feel martial Korea.